Ages before the first new-age fantasy, devout Christians told the allegory of the unicorn. In this story, the fabulous creature — like a horse but with a single horn on its head — finds its way into a nearby forest, and soon every hunter in the land desires the unicorn as his trophy. They send the fairest virgin into the meadow, where she sings a song to attract the unicorn. Charmed, the animal comes out to hear her song and rests its head upon her lap. And so it is caught. In the allegory, the unicorn stands for Jesus, the Word who came into the world from heaven. The singer, of course, is His Blessed Mother, Mary. The hunters represent mankind — we who desire the Savior, seek Him, and find Him with Mary’s help. The horn of the unicorn was considered the seat of his supernatural powers. St. John Chrysostom identified the unicorn with Jesus Christ, saying the Redeemer’s single horn of defense against His enemy is the cross. The Douay Bible proclaimed: “But my horn shall be exalted like that of the unicorn” (Ps 91:11). The book, originally written in Greek at Alexandria, perhaps for purposes of instruction, appeared probably in the second century, though some place its date at the end of the third or in the fourth century. In later centuries it was ascribed to various celebrated Fathers, especially St. Epiphanius, St. Basil, and St. Peter of Alexandria. 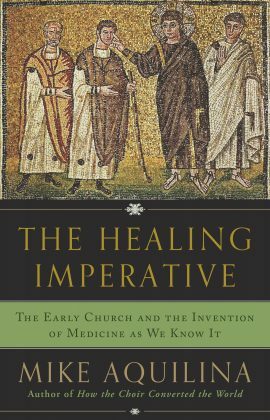 Origen, however, had cited it under the title “Physiologus,” while Clement of Alexandria and perhaps even Justin Martyr seem to have known it. Christians of late antiquity drew from the Physiologus and ascribed such authority to the text that Pope Gelasius in 496 found it necessary to condemn it outright as the work of heretics. Nonetheless, it cast a long shadow into the Middle Ages. Thus the tapestries you see in so many museums. Probably the earliest narration of the tale in literature outside of the Physiologus itself is that in the Commentary on Saint Basil’s Hexaemeron, long attributed to Saint Eustathius of Antioch, who died about A.D. 330 [sic]. This curious work weaves about Basil’s poetic account of creation a tissue of popular legend which makes it good hunting-ground for the student of folklore. In most of its discussions of animals it drags a wide net through the sea of Levantine superstition, but the unicorn passage follows Physiologus in every detail, its only importance for our purpose consisting in the fact that here we see the virgin-capture story moving out into literature under its own sail, without assistance from allegory. The legend of the unicorn is a beautiful example of the Alexandrian tendency to allegory. They applied the technique to biblical texts, literary works, and even their observation of nature. Even the beasts spoke to them of God’s grandeur. Even imaginary beasts! You see, if the marketers don’t drive you to prayer, they drive you crazy. Smithsonian has posted the article on Alexandria that sent me into a fury last week. It’s like being canonized all over again. About.com’s N.S. Gill has numbered St. Helena among the Top 6 Famous Roman Mothers. Constantine’s mum is, of course, a regular at this blog. All this talk about Roman moms will probably have you thinking about the mothers you know and what to give them for Mother’s Day. I’ll make my suggestion: my new book, Love in the Little Things: Tales of Family Life. It’ll make moms smile with recognition, and maybe help them to pray. 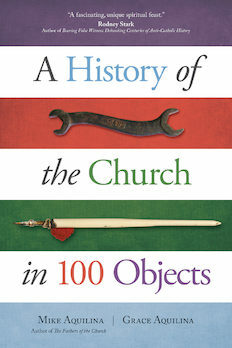 Bishop Thomas Tobin of Providence, Rhode Island, calls it “a domestic catechism for the domestic church … absolutely delightful and insightful.” You’ll find reviews by Scott Hahn, Curtis Martin, Russell Shaw, and others right here. Who You Gonna Call? Gnost-Buster! 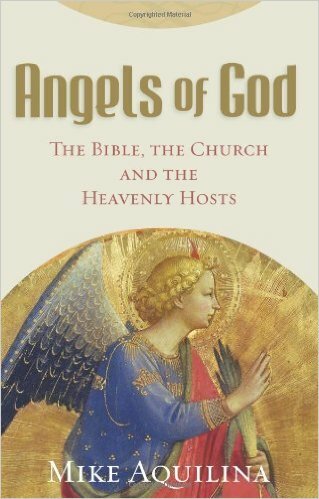 In his Wednesday audience, Pope Benedict continued his series on the Church Fathers. We’ve moved all the way to Irenaeus (second century). Benedict begins with the historical facts and then makes a beeline for the heart of the ancients’ wisdom. Irenaeus was most probably born in Smyrna (today Izmir, in Turkey) between the years 135 and 140. There, while still a youth, he attended the school of Bishop Polycarp, for his part, a disciple of the apostle John. We do not know when he moved from Asia Minor to Gaul, but the move must have coincided with the first developments of the Christian community in Lyons: There, in 177, we find Irenaeus mentioned among the college of presbyters. That year he was sent to Rome, bearer of a letter from the community of Lyons to Pope Eleutherius. The Roman mission took Irenaeus away from the persecution by Marcus Aurelius, in which at least 48 martyrs died, among them the bishop of Lyons himself, the 90-year-old Pothinus, who died of mistreatment in jail. Thus, on his return, Irenaeus was elected bishop of the city. The new pastor dedicated himself entirely to his episcopal ministry, which ended around 202-203, perhaps by martyrdom. Irenaeus is above all a man of faith and a pastor. Like the Good Shepherd, he has prudence, a richness of doctrine, and missionary zeal. As a writer, he aims for a twofold objective: to defend true doctrine from the attacks of the heretics, and to clearly expound the truth of the faith. His two works still in existence correspond exactly to the fulfillment of these two objectives: the five books “Against Heresies,” and the “Demonstration of Apostolic Preaching” (which could be called the oldest “catechism of Christian doctrine”). Without a doubt, Irenaeus is the champion in the fight against heresies. The Church of the second century was threatened by so-called gnosticism, a doctrine which claimed that the faith taught by the Church was nothing more than symbolism for the simpleminded, those unable to grasp more difficult things. Instead, the initiated, the intellectuals — they called themselves gnostics — could understand what was behind the symbolism, and thus would form an elite, intellectual Christianity. Irenaeus is available in English in the 19th-century Ante-Nicene Christian Library. Father Dominic Unger was working on a better English translation, and it’s at least partially published in the Ancient Christian Writers series. Top minds are continuing the work, I’m told. 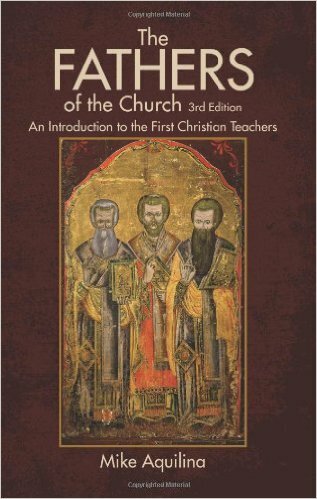 ACW also publishes Irenaeus’s Proof of the Apostolic Preaching, as does St. Vladimir Seminary’s Popular Patristics series. Asking your prayers for Father Joe Linck, esteemed patrologist and rector of St. John Fisher Seminary in Stamford, Connecticut. Father Joe underwent surgery for cancer last week and is facing a difficult recovery. Those who joined us for the St. Paul Center‘s 2005 pilgrimage to Rome know Father Joe as an outstanding confessor and preacher. It was heavenly for a bunch of patristics nerds to be with him — in Rome! — for the feasts of Saints Irenaeus, Peter and Paul, Cyril of Alexandria, and the Roman Martyrs. Unforgettable. His master’s thesis, by the way, is very cool: “The Trinitarian Dimension of Eucharistic Communion with God in the Adversus Haereses of Irenaeus of Lyons.” He is also the author of Fully Instructed and Vehemently Influenced: Catholic Preaching in Anglo-Colonial America. He contributed to He Spared Himself in Nothing: Essays on the Life and Thought of John Nepomucene Neumann and The New Catholic Encyclopedia, Second Edition (many, many articles). Father Joe is a senior fellow of the St. Paul Center. And one of the funniest people I’ve ever met. Humor, brilliance, and goodness make a great combination. Anyway, I love the man dearly, and I beg your intercession. There is much more of interest in Letter & Spirit. For instance, Avery Cardinal Dulles on how the teaching of the Second Vatican Council on Scripture and tradition has been misunderstood — sometimes deliberately, or so it seems. And John Cavadini of Notre Dame on the use of Scripture in the Catechism of the Catholic Church. 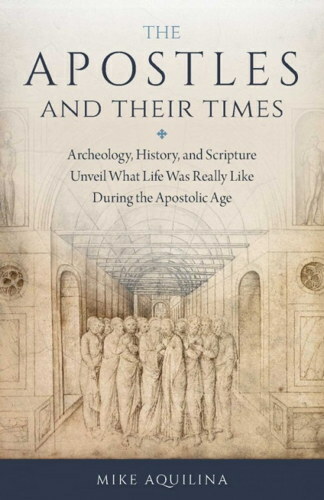 An additional and attractive feature of the journal is the reprinting of texts of enduring interest by figures as diverse as Augustin Cardinal Bea, Hugh of St. Victor, and Hans Urs von Balthasar. Father Neuhaus spends more than a page of his monthly ramble, “The Public Square,” raving about Letter & Spirit. I’m very happy because I’ve been with the St. Paul Center since Day One, and I’m awfully fond of my colleagues. I think you’ll love Letter & Spirit, because it’s chockfull of the Fathers, just the way you’d want it to be. The KVSS interview on St. Perpetua is posted on my audio page. Scroll down toward the bottom. Fred at Deep Furrows posted a link and analysis of NPR’s visit to Rome’s Basilica of St. Clement (San Clemente). Kevin Edgecomb of Biblicalia alerts us to this virtual visit to St. Mary Major. Yowza. The shift key zooms in, and the control key zooms out. New patristic roundup at Phil’s. Just back to town after five days on the road in Florida. The main reason for the visit was my speaking engagement at Ave Maria University. The place struck me as serene in spite of last week’s hurricane of news coverage. Everyone I met mentioned the events, but in charitable and hopeful terms. I was impressed. While in the Sunshine State, I visited with Dion DiMucci, who is certainly the Rock n Roll Hall of Fame’s resident expert on the Church Fathers. I bring it up because Dion sang us a song he wrote in honor of St. Jerome. Pray that it ends up on an album. It’s great. Dion’s last disk, Bronx in Blue, which covers a different set of fathers, was nominated for a Grammy this year. Are you ready for Easter season? All the days up to Pentecost? Scott Hahn and I brought out a collection of guided readings in the Fathers for the very purpose of post-Easter prayer — what the ancients called “mystagogy,” and what Pope Benedict said we should all be about. The book is Living the Mysteries: A Guide for Unfinished Christians. Its meditations come from your favorite Fathers: Basil the Great, Gregory of Nyssa, Clement of Alexandria, Cyril of Jerusalem, Ambrose of Milan, Augustine, John Chrysostom, and Leo the Great. I thrilled to see the cover story in April’s Smithsonian. “Wonders of Alexandria: Rediscovering the Fabled City of Cleopatra,” reads the headline below a beautiful undersea shot of a statue standing amid fallen columns. My heart sank, though, as I read the story inside. 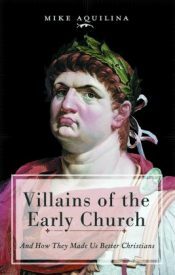 The author’s potted history of the city pretty much skips over the Christian period, moving from the Ptolemies to the Muslims in a blink. He briefly returns to the Alexandrian Church as he discusses the murder of Hypatia. Christianity is present only as an undertow of anti-intellectualism that dragged away Alexandria’s culture. I’m not making this up. Here’s the transition. Most historians? Really? You can only say such things if you hold these truths to be self-evident: that Christianity is a bad thing for the intellect and for art, and that faith is opposed to reason. Thank God that “most historians” know better, because they read history. One need not be Christian to appreciate the high culture of Christian Alexandria. There are historians who are not Christians, who believe that Christianity revived an exhausted classical culture by transforming it, by giving it a new voice. Oh, and about the violence … Christianity was hardly the near occasion of this sin for the citizens of Alexandria. They were notorious for their rioting. We can, perhaps, take some consolation because we’re not alone in this author’s neglect. The Alexandrian Jews fared little better. There’s no mention of Philo (! ), the Septuagint, or the Thereapeutai. Danny Garland is doing great work on the Fathers. I have a backlog of links I’ve been meaning to post, but life’s been too busy. So check him out and read through his archives. I think you’ll especially like his new Ask a Father feature. Rick Brannan of Ricoblog has finished his in-depth series on the Didache. It ended up running to 20+ parts. The main post has links to all posts. But all the posts can be brought up (in reverse chronological order) from this category link. On Rick’s second blog, PastoralEpistles.com, he’s started a series that will work through possible quotations and allusions to the Pastoral Epistles found in the writings of the Apostolic Fathers. The intro post is up and will function as a table of contents as the study progresses.